This assortment of country wedding gift ideas will help you pick out the perfect gift for your wedding couple. There is something for everyone here to make country wedding gift shopping easy and convenient. 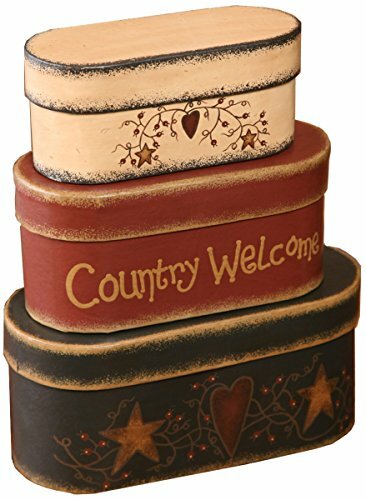 Choosing country wedding gifts is a great choice for a couple that loves country style. They like their home to be comfortable, cozy and cute with a touch of country flair. A truly countrified cake serving set that the bride and groom can use for cutting the wedding cake and a special memento of their wedding. Thoughtfully made with twine and personalized hearts that are custom ordered. Choose whichever personalizing you like or the bride and groom’s names and wedding date. 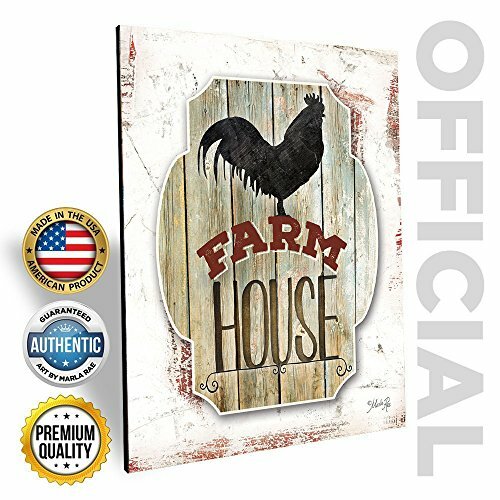 A charming wall art piece that will bring a rustic country feel to any living space. There are so many spaces where this art would fit perfectly…… in the kitchen, dining room, den, hallway, bath etc; And the neutral shades will blend with so many decor colors. One of the country wedding gift ideas with great reviews and Made in the USA. Placemat country themed wedding gifts will look delightful on the newlyweds dinner table. The classic country star design is timeless and delicately detailed. Placemats are a fabulous way to decorate with color in the kitchen and these will not disappoint. A nice and important feature that I like is that they are reversible for even and longer wear. Country kitchens are warm, inviting and a comfort haven for all that linger there. Decorating with country decor in the kitchen makes the space even more delightful. Treat the newlyweds to one or more decor items in this selection of cute country kitchen wedding gifts. A pretty as can be wreath for the Mr. and Mrs. to enjoy. The details mean everything in this beautiful wreath. 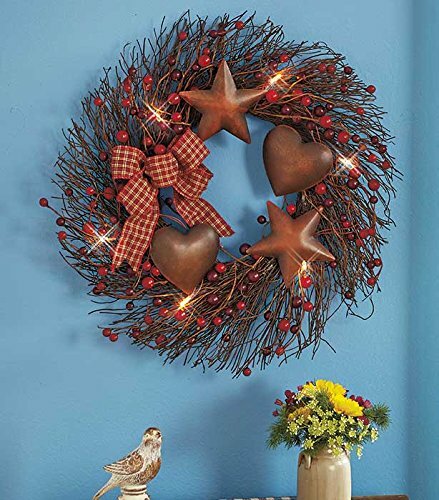 Sweet hearts, stars, berries, grapevine and a checkered bow make this wreath stand out. The lights are the icing on the cake. Use outdoors in a covered or porch area or anywhere indoors. 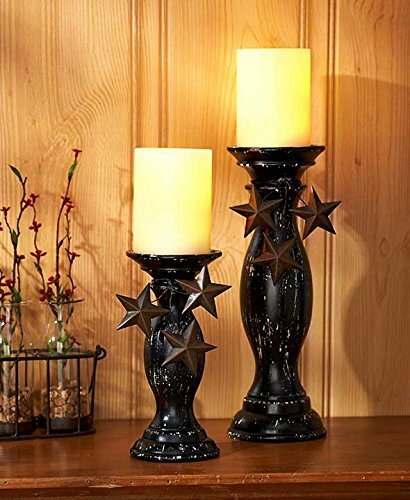 A beautiful addition to any home, this set of pillar candle holders are just the perfect accent for entryways, mantels and table scapes. A country wedding gift that the newlyweds will enjoy using with regular pillar candles or electric candles. Choose from black or red options to complement their decor. 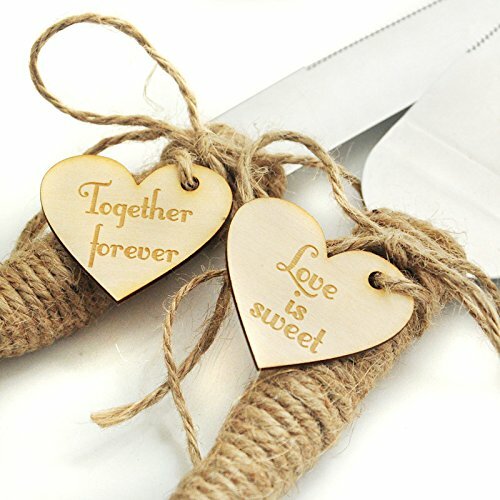 A sweet way to share the joy with these country themed wedding gifts. The bride and groom will love decorating with a set of cute nesting boxes. And they also have a practical side to use for holding small items such as keys, candies or paper clips. A warm accessory for a foyer to welcome guests in your home. Bring a bit of humor and whimsy to the bride and groom’s bath with a clever instruction sign. 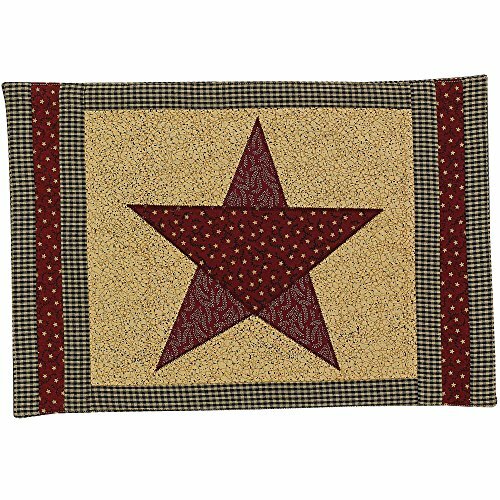 One of the best country themed wedding gifts for a rustic or country style bathroom. 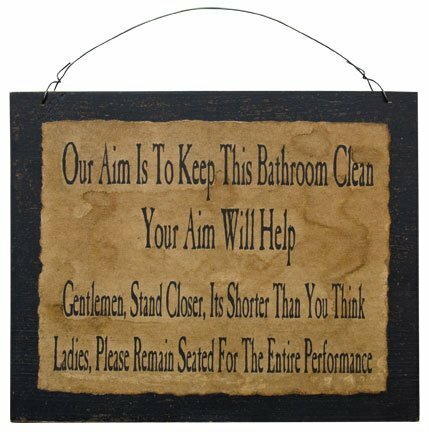 Sure to become a fun and lively conversation piece for all guests who enter and a great way to keep a tidy bathroom.